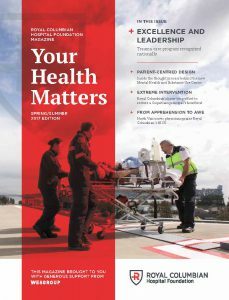 Your Health Matters magazine is published by Royal Columbian Hospital Foundation twice a year and recognizes the exceptional care offered to patients by the hospital’s medical professionals, as well as the donors whose contributions provide generous support. 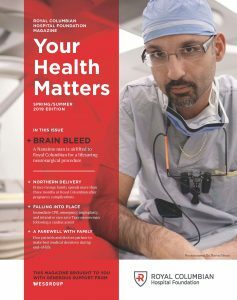 Our publications are available in PDF format. These files can be viewed and printed using Adobe Acrobat Reader 5.0 and newer. Acrobat Reader is available as a free download from www.Adobe.com. Happy 149th Birthday Royal Columbian Hospital! A spiritual journey through India with fellow traveller Claire Martin!